"The film-loving folk behind London’s Rooftop Film Club are set to bring the magic of the silver screen back to one of London’s earliest cinemas with the launch of Winter Film Club. For the month of December, Winter Film Club will take residency in Peckham’s cherished Electric Theatre to screen an eclectic mix of classics, new releases and Christmas showstoppers. Staying close to their Peckham roots, the Winter Film Club will set up home in the stunning Edwardian cinema - First open to the marvelling public in September 1908, it was one of the first of the pioneering and influential Electric Theatres across London. After winning last year’s battle against turning the space into luxury flats, Winter Film Club is celebrating the theatre’s rich heritage by returning the space to its original purpose. With beautiful decaying walls, exposed original features and a 16’ x 9’ screen, Winter Film Club will stick to the cinema’s original ethos – etched on the old theatre’s door – ‘To Elevate, Instruct and Amuse’. 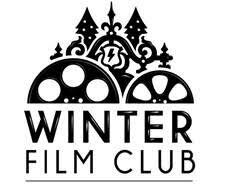 Winter Film Club will boast a varied programme to please Elves and Scrooges’ alike, featuring Louis Theroux’s My Scientology Movie, British fan-favourite Love Actually, The Rocky Horror Picture Show, Finding Dory, Casablanca and Absolutely Fabulous. The plush curtain will call with Christmas classics like It’s A Wonderful Life, Miracle on 34th Street, Elf, Home Alone and Die Hard. Home to a licensed bar serving festive liquid refreshments and concessions to grab a snack or some freshly cracked popcorn to share. Settle in to a deckchair, slip the head phones on, step back into time and watch a festive favourite amongst one of London’s unique settings."